- Irrigation frequency: can be controlled through preset program. Up to eight designated groups of irrigation modes can be scheduled to open/close the valve. 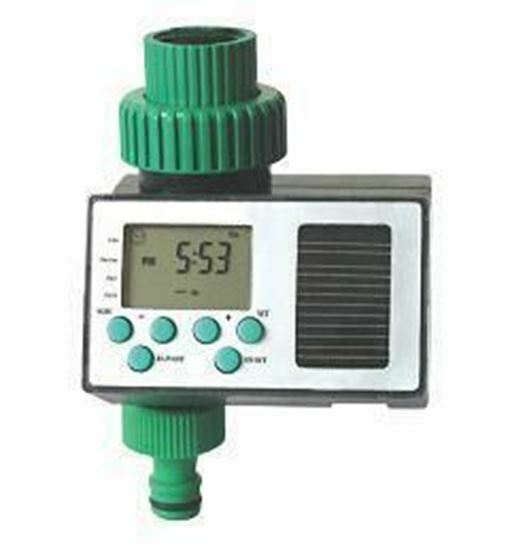 It can also be set to a random loop group in any date and in this case it can be set to 3 hours, 6 hours, 12 hours or from 1 day to 30 days to loop and control the irrigation function. - Events can be programmed from one minute to nine hours and fifty-nine minutes. - Power Pack: Three AAA rechargeable batteries (not included) maintained by built in Solar Panel.